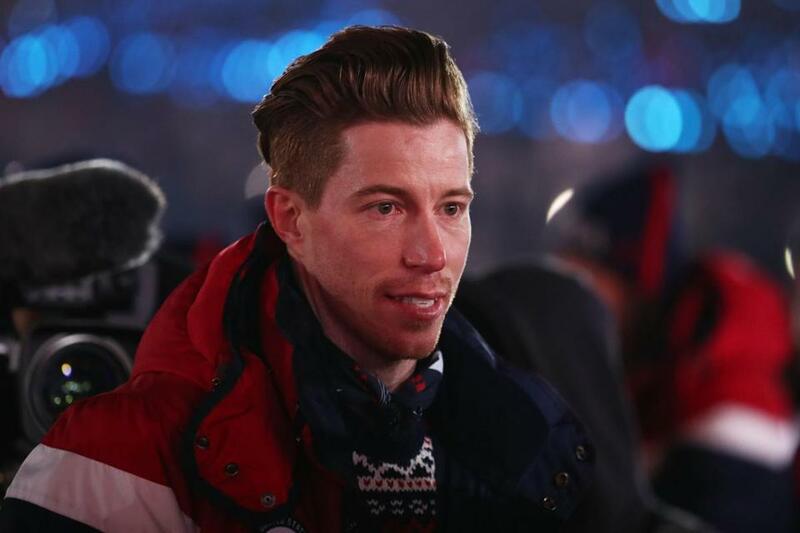 BONGPYEONG, South Korea — What he did, by the standards of his sport, was perfect: 28 seconds of snowboarding, five jumps, five smooth landings, 15 1/2 revolutions of airborne twists, and finally, a swerving stop at the bottom of the halfpipe, where Shaun White saw his score. A 100. The maximum possible. Perfection. ‘‘Are you kidding me?’’ somebody in the crowd yelled, and White roared and threw his hands in the air. The score — awarded last month at the U.S. Grand Prix of Snowmass in Colorado — made for a perfect redemption narrative. White is by far the sport’s biggest star. He is a 31-year-old competing with teenagers. He’d fallen on two previous runs. The sun was setting. He was the last rider of the day. And then, needing a clutch moment, he pulled off the very trick — a double cork 1440 — that the previous October had put him in intensive care. But in snowboarding, perfection is as controversial as it is rare. That moment, which vaulted White into the Winter Olympics, has followed him — and the sport — to Pyeongchang, where several other snowboarders have taken issue with the sport’s judging, saying that White is shown favoritism, and that nobody’s run should be deemed perfect. In other words, they said, the six judges who graded White’s run in Colorado weren’t doing the right thing. And several of them are here to judge the event again. Debate about judging is all but compulsory in a subjective sport. But the debate in snowboarding has a distinct set of layers, partly because the riders’ tricks are progressing so quickly — what is perfect, then? — and partly because White, in fame and wealth, so towers above his competitors. In men’s snowboarding, judges only twice have awarded perfect 100s. White earned both. Then there’s James, 23, the Australian flag bearer and the reigning halfpipe world champion. It was James who’d been in first place in Colorado before White’s jump. It was James who’d pulled off what many consider the sport’s toughest and most technical trick - a backside double cork 1260. Snowboarding judges tend to adjust their scoring from event to event, like teachers grading their classroom on a curve. A 90 run one day might be an 85 the next day, if the entire field is more impressive. But 100s are almost always off the table. Judges are willing to issue them, in theory, only to the last rider of an event; giving them out earlier would all but declare the winner before the event had ended. The halfpipe competition - snowboard’s signature event - is by most accounts loaded with the most talent it’s ever had, even though one medal contender, Iouri Podladtchikov, of Switzerland, announced this week he was withdrawing from the Olympics because of a head injury. Americans Chloe Kim and Kelly Clark are favorites in the women’s event, which begins Sunday. Among the men, who begin qualification on Tuesday (11 p.m. ET Monday), White is competing with James and Japan’s Ayumu Hirano, who several weeks ago had a run that several here said was the best the sport has ever seen. Hirano landed back-to-back 1440s, for the first time in history. X Games broadcasters were all but screaming as Hirano finished his run. The judges scored him a 99.0.